Bigg Boss 10 Updates: Om Swami got the biggest setback ever in the Bigg Boss House. As per the latest Bigg Boss 10 updates, Delhi police also arrived in the house to take Om Swami into the custody. In the today’s episode, Salman Khan is going to give a thoughtful lesson to self claimed guruji in the BB House. We are pretty much sure that there are no news of removal of Om Swami from the house because he is the only one good for TRP. Om Ji, What you said about Mona Lisa and Her Skirts, Questioning someone’s character and making obsolete comments on ladies in the house, all should be immediately stopped. You are not even going to spare ladies out here. Who gave you right to comment on women like that ? I beg you pardon that there is no fault of women in all this. This is a fault of your own. This is your personal thinking and you will spoil the society. If you make such comments on anyone’s daughter, they are not going to spare you for sure. Om Swami justified his actions as the other candidates had only insulted him and not respecting him at all. Om Swami breaks into tears and counter questioned everything. 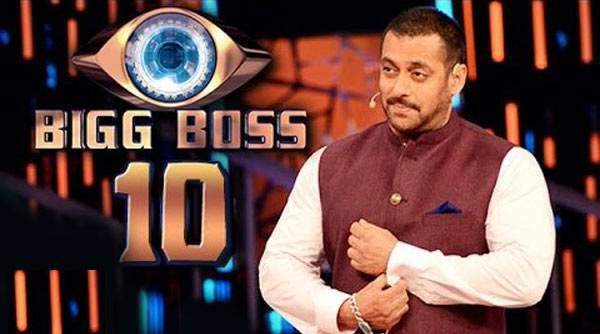 Bigg Boss 10 Updates – Delhi police arrested Om Swami ? Om Swami has lived a peaceful life inside the house but Delhi police are in no mood to spare him. Delhi Police reached Bigg Boss 10 house to take away Om Swami as he is involved in seven cases under the Arms Act and TADA. But Om Swami rejected to move out of the house and so, the police and other officials got his signature on some documents. Meanwhile, he is inside the house. Delhi police reached Bigg Boss house to arrest Swami Om. For the fans of Bigg Boss 10, Om Swami had been reportedly repeatedly charged for various crimes. The first case against him was lodged in November 2008, Pramodh Jha, when his younger brother had accused Om Swami of breaking shutter of his bicycle shop with other three men of the colony. Om Swami was accused for selling various expensive parts and stealing the bikes. There are many serious cases against the proclaimed preacher, Om Swami has been involved in seven cases under the Arms Act and TADA. Reportedly, while the huge bunch of arms and ammunition was found in his possession by the cops. Some obscene photos of women also recovered which he was using for extortion and blackmailing. Big controversy arise as the day he went inside the Bigg Boss house, it was also the same date for court hearing in the theft case – October 14. When he failed to appear for the hearing in the theft case, despite three previous warrants issued earlier, the local court issued a non-bailable warrant, the report said. Not just this, he had once warned Delhi CM Kejriwal that ‘We will kill Kejriwal’. Many controversies arose because of his statement in the media. After that party he was supporting lost very badly in the elections. Since Om Swami refused to move outside the Bigg Boss 10 house, the police officials got his signature in some documents. He is currently in the staying in the house but can be arrested anytime.